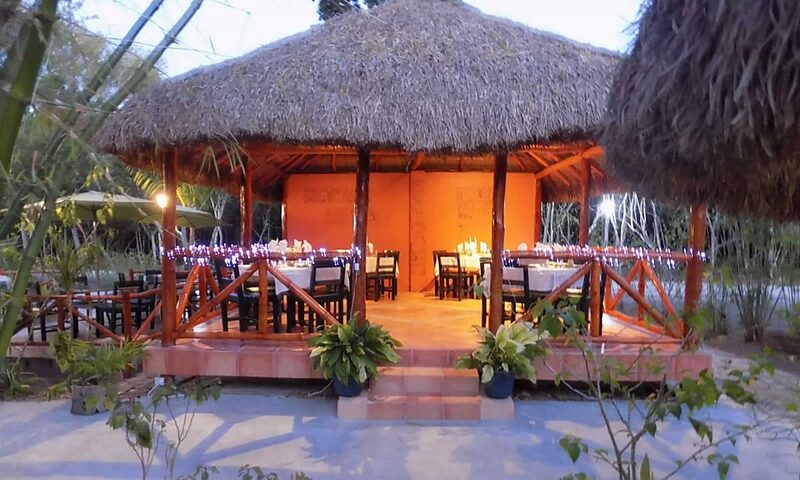 Surrounded by Maya Ruins, Rio Bec Dreams Hotel Is Your Luxury Base Camp For Exploration. Rio Bec Dreams is ideally situated for exploring the many sites of the Rio Bec and Chenes regions of Campeche State, as well as the World Heritage site of Calakmul. Chicanna is just a few hundred yards up the road, Becan just beyond that, while Xpuhil is just ten minutes away. The Rio Bec was a decentralized polity and its eclectic and imaginative sites are tucked away all around us along both sides of the highway. We are happy to recommend local restaurants or to supply picnic lunches for your day trips. For locations farther away, we can suggest itineraries and hotels to make your explorations trouble free. The ruins of Rio Bec are difficult to get to but stop by Rio Bec Dreams and we can give you some help. The ruins are spread out over a wide area. You currently need a four wheel drive or high clearance vehicle to get there and they are probably not reachable in the rainy season. Ramonales, Manos Rojas, Puerto Rico, Yax Bil, Payan. Discovered in 1990, this spectacular site with its remarkable Early Classic stucco frieze/facade – 56 feet long and 13 feet high – really gives a complete impression of how these cities looked 1500 years ago. Its tropical setting, huge ball court, many plazas and residential areas, and especially its six famous Early Classic masks of the sun god Kinich Ajaw make this a truly memorable site to visit. Its grassy, park-like setting belies its long, ambitious turbulent history. This is the Early Classic home of the Snake Kings who later dominated the Central Lowlands and settled in Calakmul. A beautiful city with lots of good architecture, many plazas and lots of quiet. 1 km from Dzibanche, Kinichna is a hilltop fortress acropolis that is worth the time if you are in the area. The greatest of all Maya cities, both in terms of its size and influence during the Late Classic in the Central Lowlands. The Peten reaches across the border from Guatemala here, but it is still 1 1/2 hours’ drive on a narrow jungle road to the ruins from the highway. This is an opportunity to see perhaps the most important Classic Maya city and to have an archaeological adventure. This is really an all-day trip – you might think about booking two nights to give yourself time to prepare and to recover. Santa Rosa Xtampak, Oxtankah, Hochob, El Tabasqueno, Dzbalnocac. Edzna, Uxmal, Kabah, Sayil, Labna, Xlapak, Chunhuhub, Xcalumkin, Kanki, Chacchoben. El Tigre, Comalcalco, Lamanai (Belize), Altun Ha (Belize), Xunantunich (Belize), Caracol (Belize). Palenque, Bonampak, Tonina, Yaxchilan, Coba.